You finally got that promotion you have always been dreaming of, you get to lead a team! That’s great of course, but if you have never held a leadership position it can be pretty daunting at first. 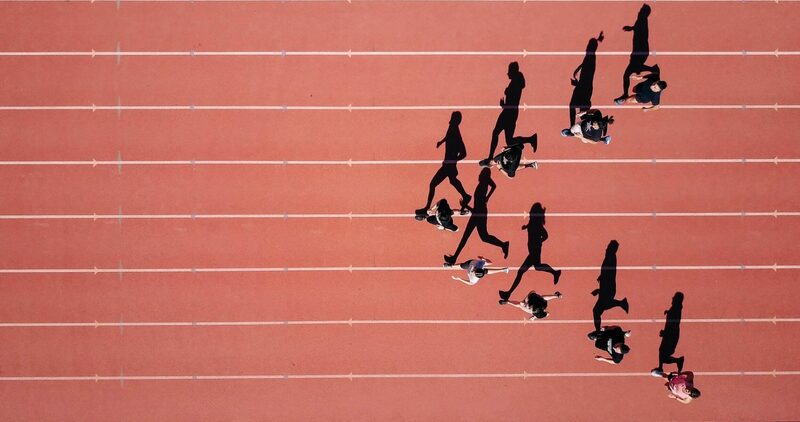 In this article I will be touching on 5 points that I myself experienced from going from a doing to a leading position. 1. You destroy morale. Not letting people do the work – they were hired to do – kills morale. Your people will have the feeling they are not trusted at all if you don’t let them do their jobs. 2. You can’t do everything. There is only so many hours in a day, and as your responsibilities as a leader grow, it will become more and more apparent that you can’t do everything. The solution to this problem is simply to frame the challenge you are facing as a team and let people do what their expertise is. Let them give input and make a decision together (and in some cases, you will need to make a decision). You might be thinking “but what if they fail?”, the answer is simple, just let them fail. They won’t learn anything if they don’t fail, and in most cases you will be surprised what commitment and trusting your people brings you. Trust is one of the greatest weapons you have to have in your arsenal as a leader. In some cases it will be mandatory for you to make a decision. Getting to a decision is pretty difficult at times but try and get as many information about the situation as possible and use your best judgement, and above all, make the decision. There is nothing worse to a team than being indecisive. We have this problem, and I think we should solve it this way. We have this problem and we’re going to solve it this way. Do you see the difference? Just by saying ‘you think’ you keep the decision open, partly because you show some insecurity, but also because thinking implies that you haven’t decided yet. It’s a small change in your way of communicating but with totally different outcomes. The first example will give you all kinds of reactions, from people that don’t agree to people that have questions about the decision. The second will maybe give you a few questions about the decision, but it will less likely be a discussion about doing something different than the decision that was made. Also if it’s a decision, and the decision is final, stick to your guns. Changing things will always create friction, but people almost always adapt to the situation. Making decisions is always a balancing act between making a decision yourself based on input and making a decision together with your team. Don’t make too many decisions yourself, because that brings me to my next point. 1. Control. Everything passes the micromanager’s desk, because it’s needed to keep everything under control. None of the decisions are taken without the micromanager knowing about it. 2. Conviction. The micromanager is the one that knows everything the best and it’s their way or the highway, and they expect their team to listen and work the same way. 3. Impatience. It can always be faster and better in the micromanager’s opinion, resulting in people not getting enough time to get the job done. 4. Contact. The micromanager has to have a talk about every step taken, every day, and sometimes even every hour. 5. Information. Micromanagers overload their people with information containing all details about how a project/task should be tackled. If you ever find yourself having the urge to do the things above, stop yourself, because you won’t help anyone, not yourself and certainly nobody in your team. One of your main priorities as a leader is to lead and remove any roadblocks someone in your team might have. Most people won’t tell you they have hit a roadblock immediately so it will help to have a daily standup with your team members just to see how everybody is doing on their tasks and if they are blocked in any way shape or form. 5. Ask feedback! The key to leadership. There is nothing that can throw you off more than having the feeling everything is going great, there are always things that you can improve in your leadership position and it’s really important to ask your team members (1-on-1 works best) for feedback on what you could do better. This is a real easy step in which you just ask the simple question: “Is there something I can improve on, to help you do your job better?”. 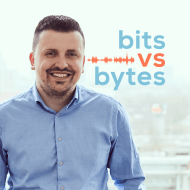 Have you checked out the Bits vs Bytes podcast? Click here to listen.